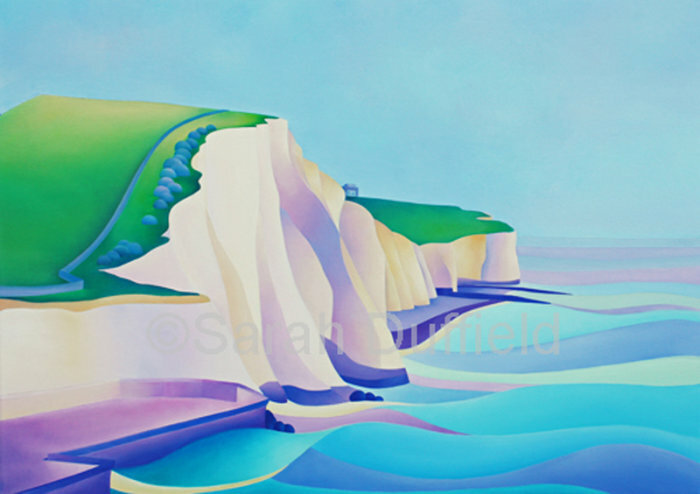 "For all those Who Loved this Spot"
Calm blue seas on the South Downs Coast Line. Sorry this large limited edition print is sold out. Greeting cards and mini prints can be found in my greeting card gallery costing just £3 and £25 each.